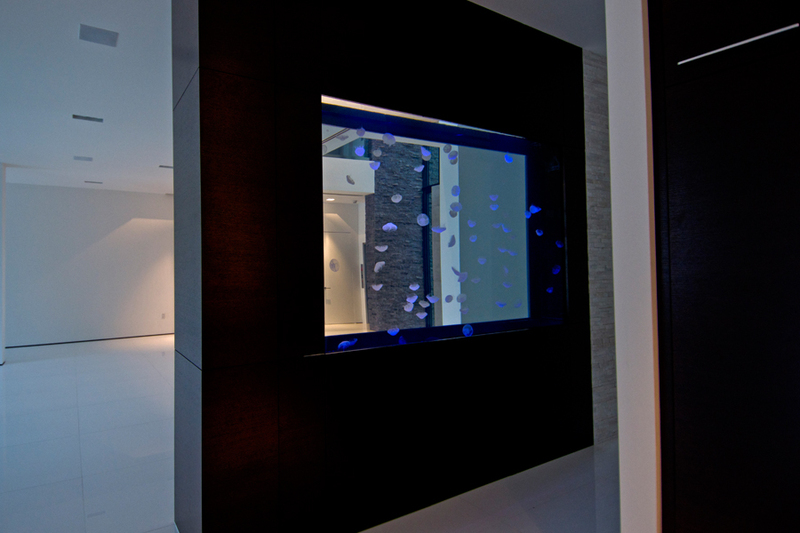 760 Gallon Jellyfish Aquarium - REEF AQUARIA DESIGNREEF AQUARIA DESIGN | Every great room deserves a great aquarium. The ever-changing graceful form and movement of these captive bred Moon Jellyfish create an amazing aesthetic in this stylized ultra-modern residence. 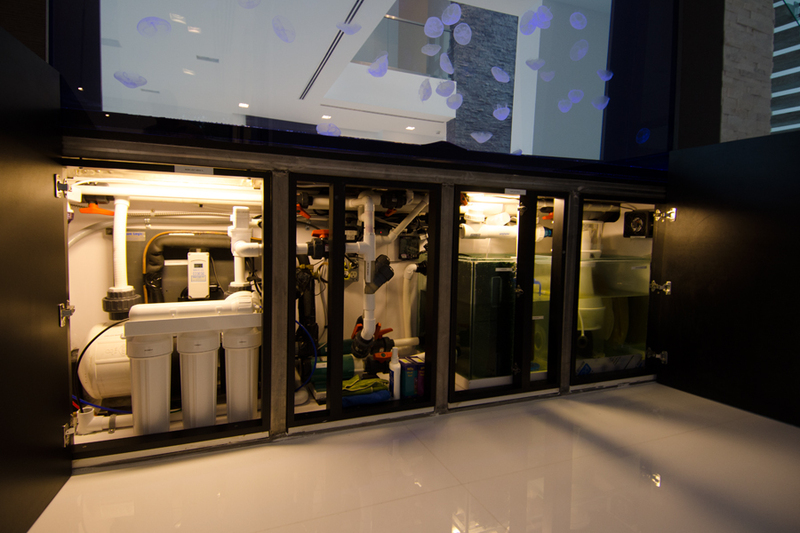 Impressively tall and imposing, the aquarium helps to bring weight to a wide open and tall space.